We have just received a large shipment of sheet metal parts stamped in the USA for 33/34 Ford cars. We now have 33/34 Roadster 1/4 panels available for immediate shipping. These 1/4 panels are also cost effectively used for replacement 1/4 panels for 3W, 5W, and Cabriolet body styles with some modification in the “B” pillar area necessary. 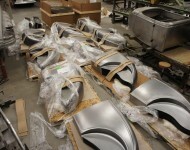 We also have a fresh shipment of 33/34 Roadster cowl sides. Portions of these panels can also be used as patch panels on other 33/34 body styles. 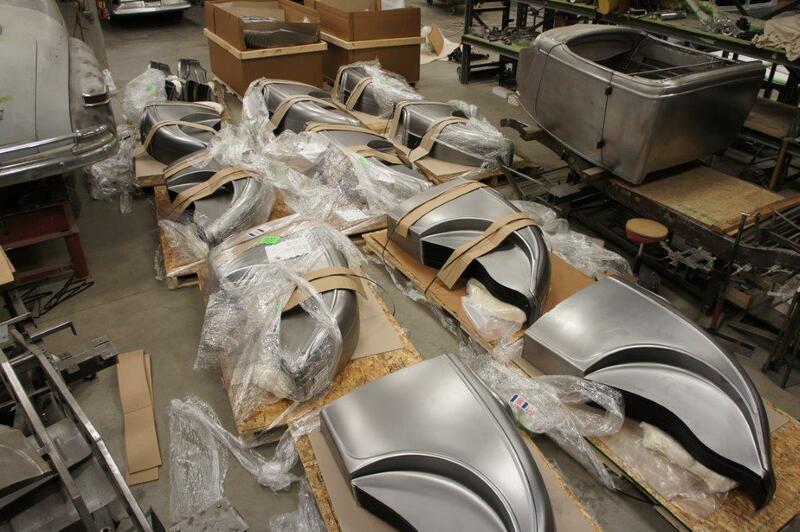 And included in this shipment is a limited supply of 33/34 “smooth” cowl tops for Roadsters. FRONT AND REAR FENDERS AND GAS TANK COVER HAVE BEEN TEST FIT AND ARE IN STOCK!